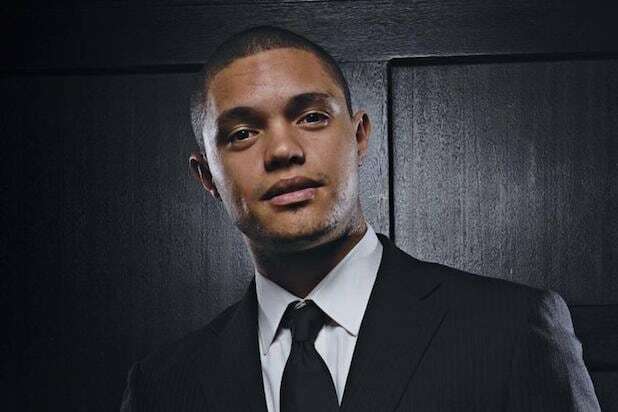 Trevor Noah’s surprising appointment to “The Daily Show” host Monday was the talk of Twitter, but some past comments from the South African comedian have surfaced to a negative reaction on social media. Comedy Central’s president praised the 31-year-old stand-up star as “wicked funny” upon announcing him as Jon Stewart‘s replacement, and he wasn’t alone — many on Twitter were ecstatic over his appointment to the network’s satirical staple. Chris Rock pointed to another trailblazer: “Thank You President Obama,” he tweeted. But amid positive tweets about Noah’s standup in South Africa and support for his global appeal came mention of past tweets he’s penned about Jews and women. The tweets also extended into controversial comments about women. Comedy Central did not immediately respond to TheWrap’s request for comment regarding Noah’s past social media comments. “Politically Incorrect” – ABC pulled the plug on Bill Maher’s talk show after the host disagreed with President Bush calling the terrorists behind the September 11th attacks cowards. Maher asserted that the U.S. military response in the Middle East was cowardly, saying: “We have been the cowards, lobbing cruise missiles from 2,000 miles away. That's cowardly. Staying in the airplane when it hits the building, say what you want about it, it's not cowardly." “Luck” – HBO canceled Dustin Hoffman's series after three horses died during production. “Here Comes Honey Boo Boo” – TLC abruptly canceled the reality show after reports that June Shannon, mother to the young star of the series, was dating a convicted child molester. “Ford Nation” – Toronto Mayor Rob Ford’s talk show, co-hosted by his brother Doug, lasted only one episode. The program premiered on the same day the Toronto City Council voted to strip Ford of most of his powers and budget. “7th Heaven,” in syndication – Reruns of The WB series were pulled from UP TV after audio tapes surfaced of the show’s patriarchal star Stephen Collins admitting to child molestation. CNN’s Hillary Clinton documentary – Director Charles Ferguson pulled out of the project after Democrats, Republicans and the Clintons themselves criticized the film. CNN Films then canceled their plans to move forward with the documentary. “All My Babies' Mamas” – Oxygen was in the midst of developing a special featuring rapper Shawty Lo and his family of 11 children from 10 different women. An online petition to cancel the show led the cable channel to shelve the project. “Buckwild” – MTV suspended production on the reality series following the death of cast member Shain Gandee. The 21-year-old was found dead of accidental carbon monoxide poisoning. "Flip It Forward" – Twin brothers Jason and David Benham were set to star in their own HGTV series, but the network shut down those plans after learning about homophobic, anti-Muslim and anti-abortion statements they’d made in the past.